Soft, squeezable, multi-coloured ball featuring 30 expressive koala characters! Learning to recognise our feelings and communicate them effectively to others are key aspects of building emotional intelligence. These 30 koala characters are not just calm, cute and cuddly; they’re also happy, sad, surprised, disgusted, bored, excited, scared, angry, proud, cheeky—and any other emotion a child or adult may be feeling! 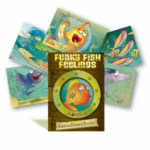 Therapists, social workers, teachers and parents know how important talking about feelings can be. Soft and easy to catch, this Therapy Ball will help get a ‘feelings conversation’ rolling! 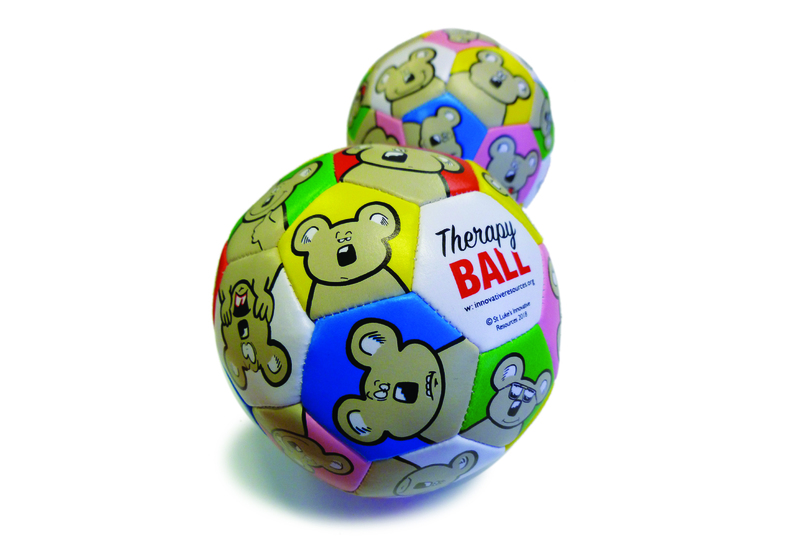 Throw or roll the Therapy Ball to someone, or play catch around a circle. Ask the catcher questions like: Which koala is facing you? Which koala is closest to each finger? What are those koalas feeling? Have you ever felt that way? Which koala shows how you’re feeling today? Which one shows how you’d like to be feeling? Can you tell a story using several of the koalas? What are their names? What happened? What are they feeling? Can you find pairs of emotions that are: similar, opposite, easy, difficult, every day, occasional? Soft, squeezable, multi-coloured ball made from PVC synthetic leather, lightly stuffed, 12.5 cm in diameter, with hand-stitched, pentagon-shaped patches, featuring 30 expressive koala characters (head and shoulders) depicting a wide range of emotions. 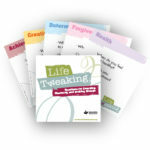 Good for developing skills in managing feelings as they arise and subside.